Helen Arnold reports on the prospects for Prosecco Superiore, and the challenges facing the Italian fizz in the wildly competitive UK market. Prosecco is one of the great success stories of the Italian wine industry, and has captured the British public’s imagination like no other wine, recording stellar growth in the past decade. That rate of increase was, however, inevitably unsustainable and in recent years growth has started to stutter. 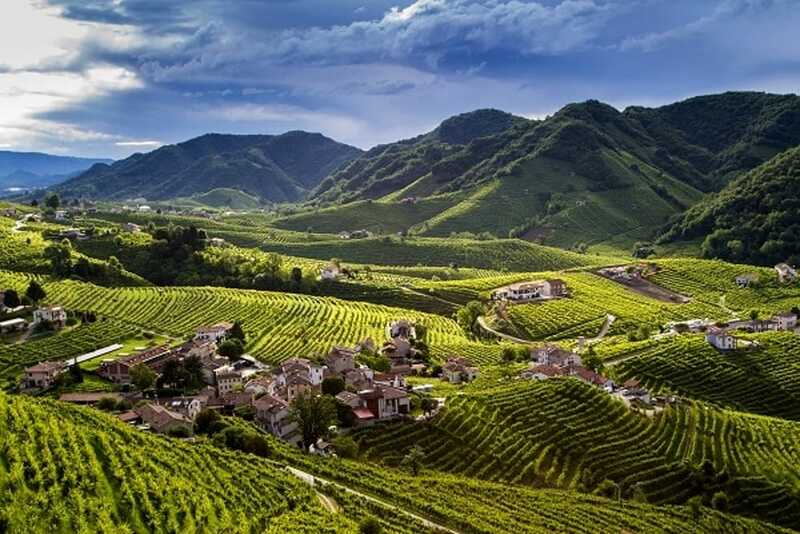 But Conegliano Valdobbiadene Prosecco Superiore DOCG, also known as Prosecco Superiore, which currently only accounts for a a mere 6% of the UK market, is now responsible for driving most growth in the sector. It’s growth is well timed too as it happens to coincides with the 50th anniversary of the establishment of the denomination and the 10th anniversary of the creation of the Prosecco Superiore DOCG. To mark the occasion the consortium has just launched its new UK trade and press campaign to boost awareness and understanding of its wines within the wine trade and wider trade and consumer press. 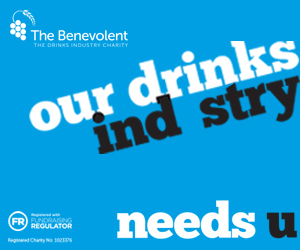 The time appears right to build on Prosecco’s mass appeal for producing light, frothy, celebratory, and attractively priced sparkling wine, which really has captured our hearts, palates and hard earned cash to see sales in the UK rocket over the last 10 years. 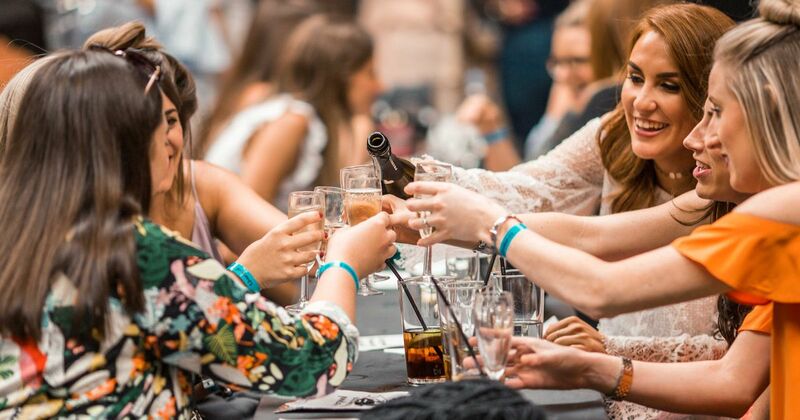 It’s now the go-to drink for huge swathes of young women on a night out, and no hen weekend would be complete without a few bottles of the obligatory sparkler. But for those that really know their Prosecco, there is also great potential still to be uncovered for the more premium styles, which is what this new PR campaign is very much about. But first things first. Prosecco has single-handedly driven wine growth in the UK wine market in recent years – by some 90% between 2011 and 2021, according to the IWSR’s 2018 report which predicts that the remarkable growth enjoyed by all sparkling wine in the UK is set to continue as it steals market share from still wine. Consumption of all sparkling wines, spearheaded by Prosecco, is predicted to climb from 14.4 million nine litre case in 2017 to 16.2 million by 2022. A comparison of growth per head over 10 years from 2012 shows consumption rising from 1.8 litres to 2.8 litres by 2022, while imports of Prosecco will rise to 11.7 million cases by 2022 at the expense of both Champagne, Cava and all still wine the report forecasts. The UK is the largest export market for Prosecco in volume terms, knocking back a total of around 125 million bottles last year, and second only to Germany in terms of value. But this is a category dominated by supermarkets, with many anonymous labels sold at the cheapest possible price. There is little recognition of differences in style, let alone uniqueness, with the vast majority of the wine sold and consumed in the UK being basic DOC Prosecco. However, growth in the market is not now being generated from the value end Proseccos, but being driven by quality wines at the top end of the market. Step forward Prosecco Conegliano Vadobbiadene DOCG, which currently only accounts for 6% or 7.5m bottles of all Prosecco sold in the UK and remains small fry compared to the juggernaut that is Prosecco DOC, which shifted more than 120 million bottles in the UK market in 2017. While sales volumes may be small, this is the sector that is recording the strongest growth in the market, with sales surging by over a third – 38% in value to around £38m, and 35% in volume between 2016 and 2017, at a time when overall growth in the UK has started to slow, prompting many industry watchers to speculate whether the bubble is about to burst for the ubiquitous Italian fizz. 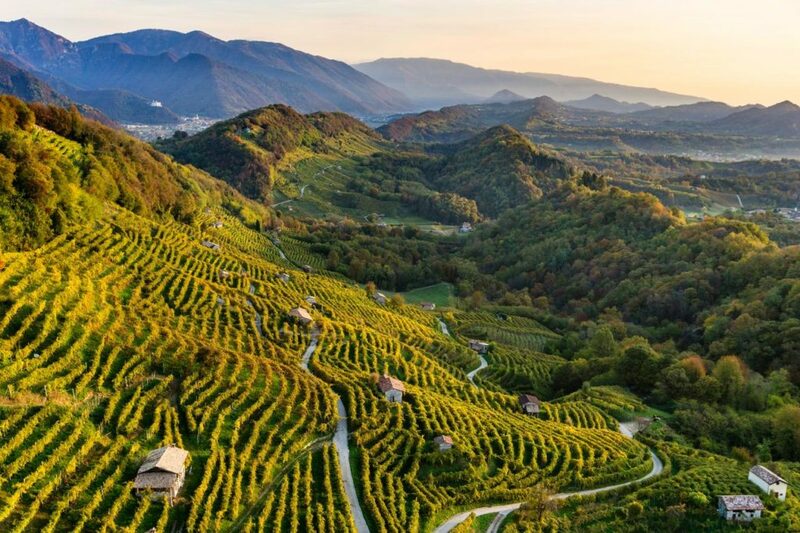 The sparkling wine from this region is of the highest quality, and produced in the verdant, vertiginous hillsides of Conegliano Valdobbiadene 50km north of Venice. 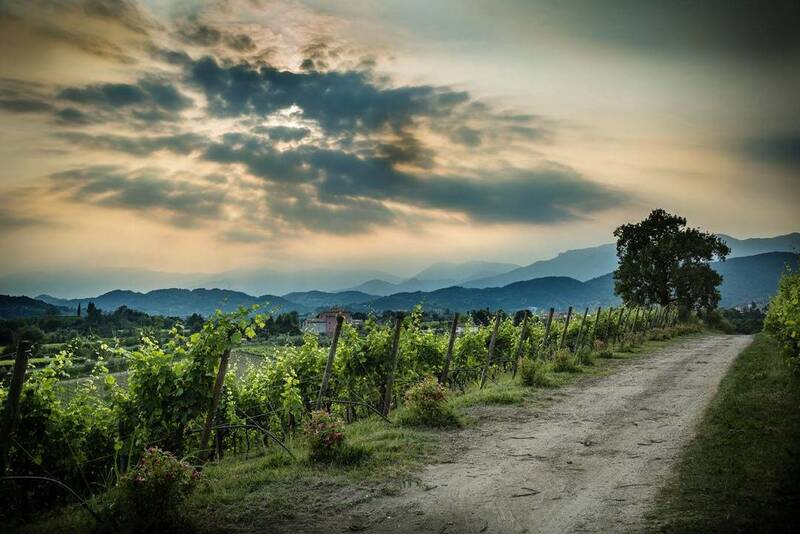 It is known as the birthplace of Prosecco and home to the finest example of the grape. Around 42% of the 90 million bottles produced annually, with a value of $502.6m is exported, (compared with 70% of Prosecco DOC), with the UK being the biggest market in volume terms, and second in value. Other key markets include Germany, Switzerland, the UK, Benelux, the US and Canada. 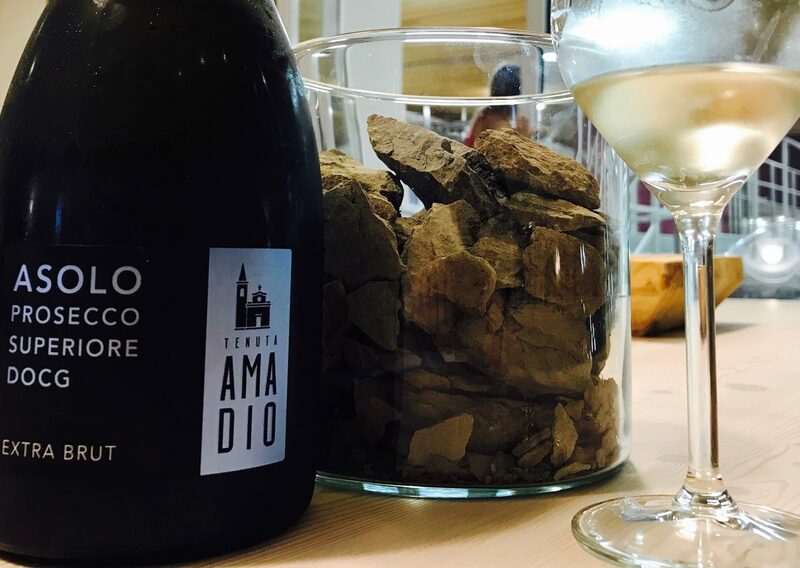 Only wine that is produced from grapes grown in the very narrowly defined region of Conegliano Valdobbiadene, an area of around 8,000 hectares, can call itself Prosecco DOCG, (Asolo, a neighbouring area also produces its own DOCG wines). 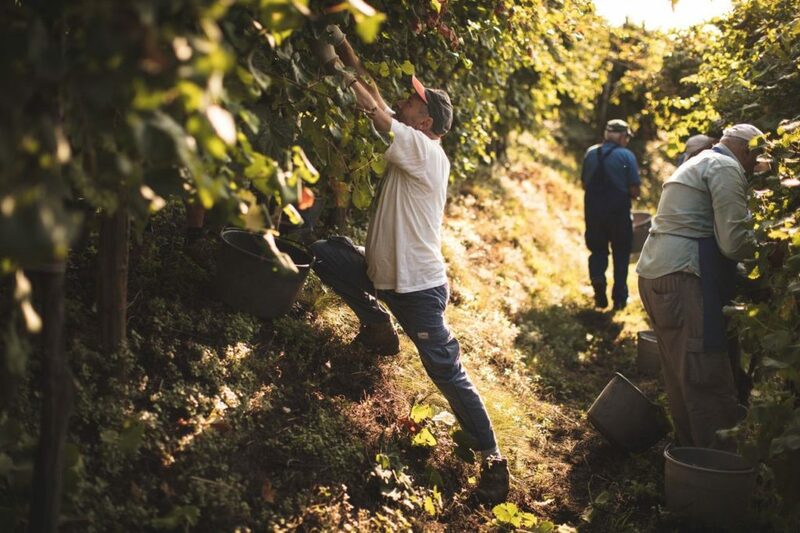 Seemingly, every available inch of land has a vineyard squeezed onto it, and producers, unable to further expand, have reached peak capacity. Rarely does land come onto the market, and on the rare occasion it does it prompts a frenzy of bidding and eye-watering prices – in prestigious areas such as the hills of Cartizze, for example, land has rocketed five-fold in value in the past decade, with an acre of land now achieving in excess of $1m. 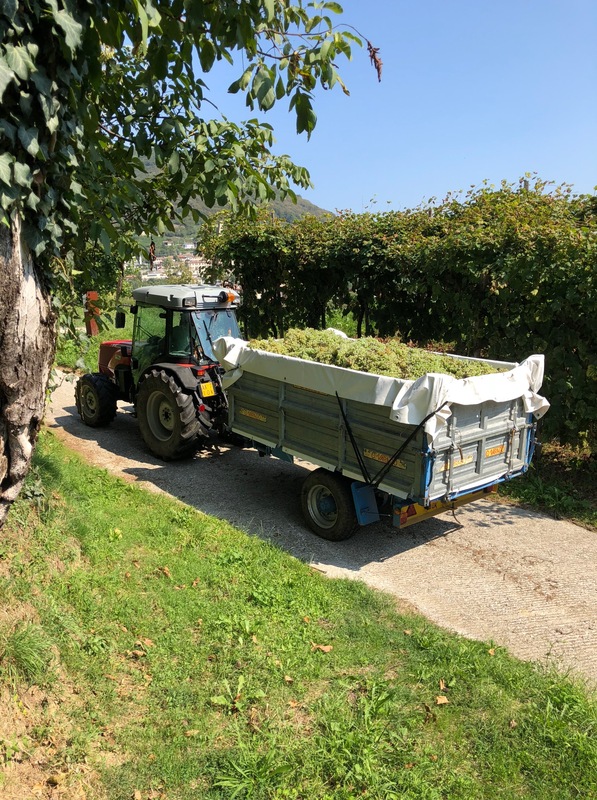 Not only is land at a premium, but the challenging terrain means that all the grapes in Conegliano Valdonbbiadene DOCG have to be handpicked, backbreaking intensive labour which adds to the cost of the final product. So much less challenging for the DOC producers, who grow their grapes in 23,000 hectares of unremittingly flat plains lying beneath the hills, where vast quantities of Prosecco DOC are mass produced. Here grapes can easily be picked by machine, readily able to navigate the low landscape. Since the DOCG was created 10 years ago, production volumes and exports to the UK of basic DOC Prosecco have massively increased. While some in the industry believe this to have been to the detriment of the producers of Prosecco Superiore, Nardi begs to differ. 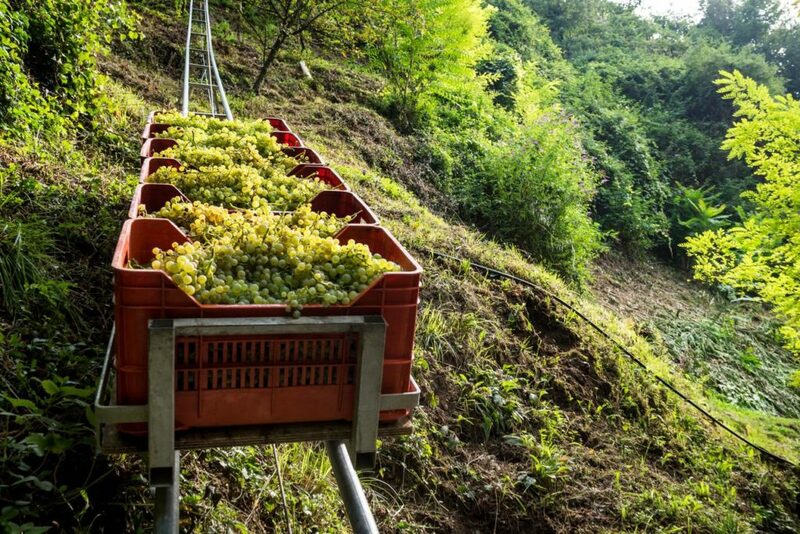 “Volumes [of DOCG Prosecco] have multiplied considerably and this growth has occurred in parallel with the increase in exports of Prosecco in general, he says. “We believe that the greater availability of Prosecco DOC has had a very positive effect on increasing product awareness.” And this better understanding has led consumers to explore other denominations and premium examples of the sparkling wine. Producers are now increasingly trying to shift upmarket, to further differentiate themselves from mass market Prosecco, with many switching to the in-bottle fermentation method and making drier, food friendly wines in line with current UK trends. Typically, this means that these Proseccos are usually extra brut, with 0-6 grams of sugar per litre, in sharp contrast to the typical DOC Prosecco, which is produced as either extra brut, extra dry or dry with sugar levels ranging from 12 grams per litre to as much as 32 grams. Single site wines are becoming increasingly common too, while alternative styles such as Metodo Classico and Col Fondo are burgeoning as a new generation of winemakers experiment with natural yeasts, skin maceration, lees ageing and slow secondary fermentations. 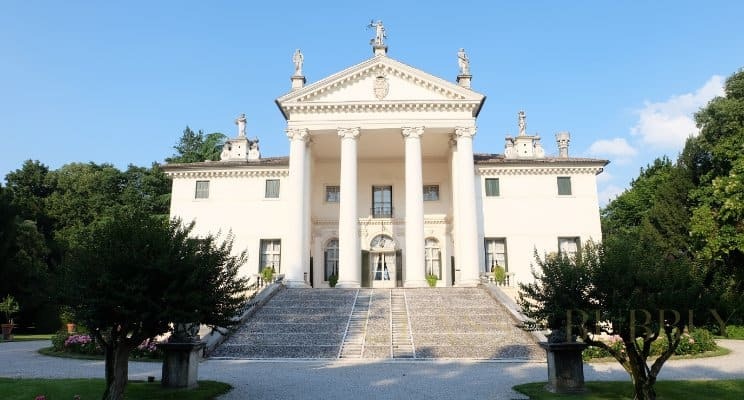 Flavio Geretto is the general manager at Villa Sandi which produces DOCG wines from both Valdobbiadene and Conegliano and Asolo, as well as DOC wine, and he reports a growing demand for premium Proseccos. Aldo Franchi, the general manager at Val D’Oca is another producer who has seen a slowdown in sales growth in recent years, though is bullish about future prospects for the UK market. “Despite the ups and downs of the market, we are confident that Prosecco will keep on its positive trend, even if to a lesser extent than compared to previous year’s growth,” he says, adding that he believes that Prosecco Superiore DOCG is key to raising the perception of quality in the Prosecco market as a whole. Despite the undoubted quality of Prosecco Superiore, one of the big problems facing the sector in the UK market is the undoubted sniffiness it attracts amongst some elements of the trade. Where once an ABC (Anything but Chardonnay) attitude prevailed, now we are seeing the emergence of ABP (Anything But Prosecco). But Abbott believes that Prosecco DOCG is unfairly maligned, and is now working closely with the DOCG to change this. “Prosecco Superiore is one of the most misunderstood and unfairly dismissed historic Italian denominations,” she claims. “Even some wine experts either don’t understand or disregard the very real distinction between Conegliano Valdobbiadene DOCG, and “basic” Prosecco DOC. However, she believes that attitudes are slowly shifting and this “rather lazy prejudice” is beginning to change. “Interest and awareness in the wine trade is improving and canny importers and wholesalers have introduced high quality Prosecco Superiore to their portfolio rather than get dragged into a Prosecco DOC price war. Liberty Wines is one UK distributor which has enjoyed surging sales of Prosecco, jumping by 50% in the premium on–trade alone last year, a better than expected performance given the price increases that came through with the 2017 vintage. 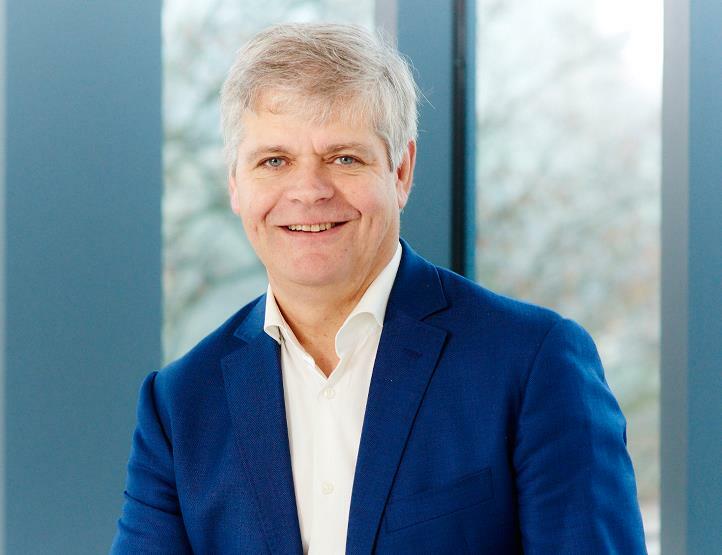 “It illustrates how robust a market Prosecco has carved out for itself,” says managing director David Gleave. One Prosecco producer with a real point of difference to shout about is L’Antica Quercia, situated amid the Scomigo hills, which grows its grapes organically on 21 hectares of vineyards, and exports up to 70% of its total output. “From a commercial point of view, the advantage of being organic is that we have fewer competitors in the market that can offer the same product,” claims export sales manger Mara Ghirardi. “This means that organic Prosecco Superiore DOCG is quite hard to find. 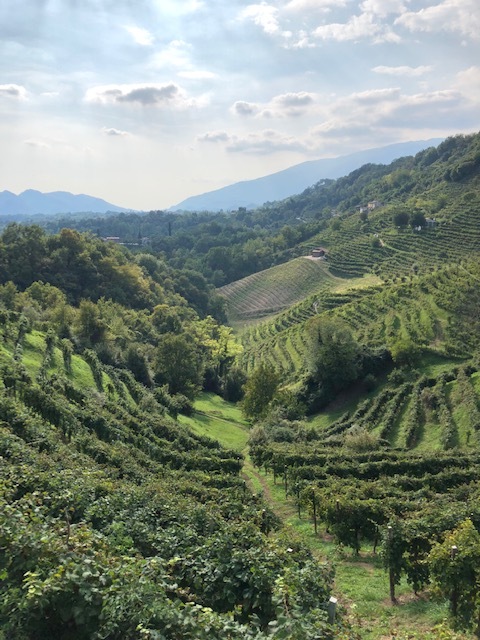 We have seen a significant growth in organic demand both in the domestic market and abroad.” With less than 2% of the DOCG Conegliano Valdobbiadene area dedicated to organic production, this provides a real selling point for the producer. However, she says that even lovingly created artisan products like her company’s sparkling wines are unfairly tarred with the same brush when it comes to Prosecco. And the looming prospect of Brexit has done little to dampen the company’s enthusiasm for muscling into the UK market. 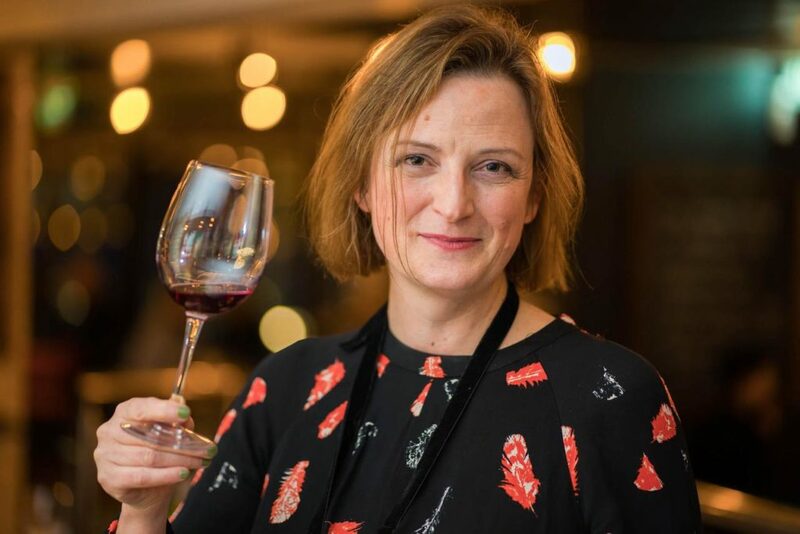 “We think that these macro-economical measures are of more concern to the big companies moving big volumes of goods – not small outsiders like us, so we are not worried about Brexit.” She believes small, artisan producers such as L’Antica Quercia will continue to see their volumes grow, alongside the big boys churning out cheaper mass market wines, while it will be those in the middle most likely to lose out. The free movement of goods within the EU has contributed “significantly” to the success of Conegliano Valdobbiadene, says the Consorzio’s Nardi, and Brexit is an “unknown” for the industry. “A significant constraint is represented by the excise duties on sparkling wines that are higher than for still wines in many countries of the EU,” he says. 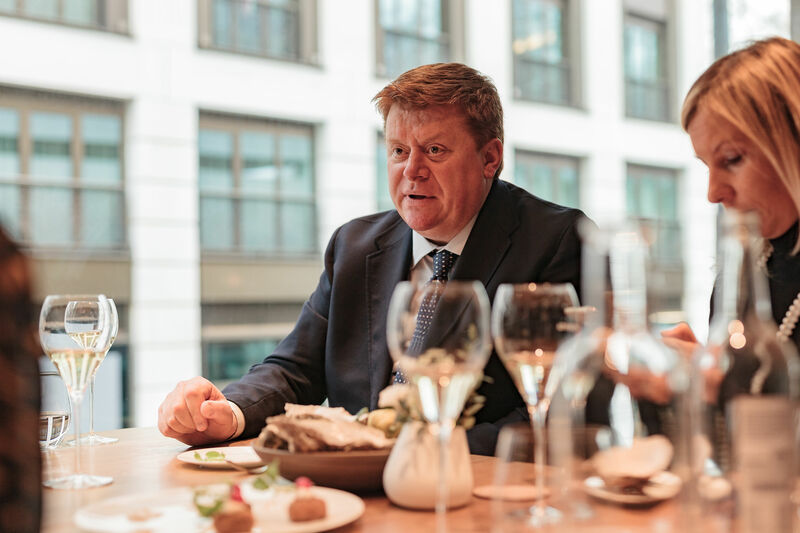 “There are still many countries outside the EU that act on the leverage of duties and management by the monopolies to discourage the import of sparkling wine.” However, he says that despite these issues, he believes UK consumers will continue to buy Prosecco. The DOCG is certainly not resting on its laurels, and is working away quietly behind the scenes to highlight the superiority of its producers’ wines. 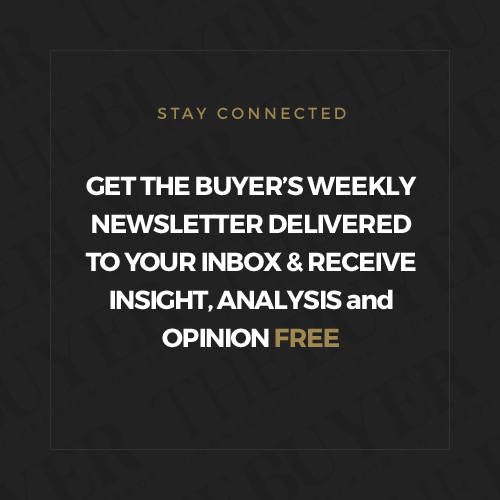 As part of this, the Consorzio has just launched its 2019 UK campaign aimed at the UK trade and press. The main aim of the campaign is to change perceptions and highlight the high quality, diversity, and food friendliness of the wines from Conegliano Valdobbiadene. But Abbot is more than aware of the challenges that the DOCG faces in the cut-throat UK market, not least the prejudice against anything with Prosecco on the label, the demand from the UK on and off trade for Prosecco to be as cheap as possible, and the lack of any real understanding about the different quality levels and denominations of Prosecco. “Prosecco Superiore wines are now listed proudly in high end hotels and restaurants in Italy,”she says. “However, the UK market and press almost ignores, them despite some valiant and top quality importers working with them,” she continues. 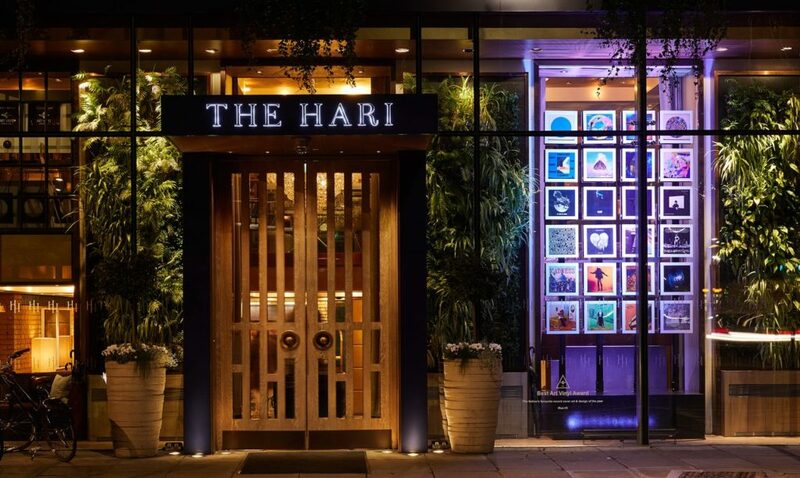 #SuperioreAfternoon kicked off with a press launch at the Hari Hotel in Mayfair last week, with wines from some of the best producers of Conegliano Valdobbiadene DOCG being presented alongside the Hari’s acclaimed afternoon tea with a twist.